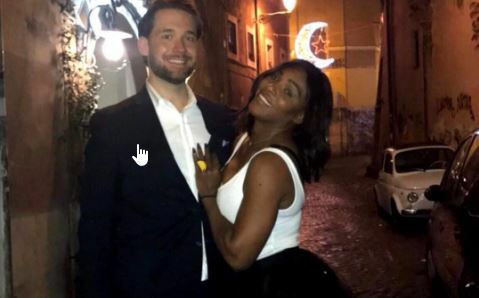 In some seriously exciting celebrity news, Serena Williams and Alexis Ohanian are married! The tennis pro and Reddit co-founder tied the knot in a lavish New Orleans ceremony. According to EOnline.com, their celebrity wedding was attended by many family members and friends – the rehearsal dinner alone had around 100 people in attendance. With tons of alcohol, beautiful flowers, and yummy beignets, this wedding was one-of-a-kind! Williams and Ohanian have been together since 2015 and welcomed their first child, Alexis Jr., two months ago. Congratulations to the celebrity couple – you have a lot to celebrate! This celebrity wedding was a fancy affair! What are some ways to personalize your wedding festivities? 1. Break from traditions: Sure, there’s nothing like a classic wedding. These ceremonies are timeless and quaintly traditional. But your day is all about you, so you can celebrate it however you’d like! If you would rather add your own touch to the bouquet or garter toss, go for it. Your guests will love the creative spin. 2. Ditch the cake: If you don’t like cake, you don’t have to serve it! Dessert alternatives are super on-trend lately. You can serve cupcakes, order a wall of doughnuts, or even have an ice cream sundae bar. The choices are endless, and the personal touch will be remembered. 3. Get creative with the guestbook: Guestbooks are nice, but realistically speaking, how often do you think you’ll sit down and go through the album? Ditch the book and have something more practical. Buy a coffee table book for your guests to sign, or ask people write down a piece of marriage advice for you. You’ll get more use when you implement a bit of creativity, and you won’t feel like you’re wasting your money on something that’s going to gather dust in your closet. How have you added personal touches to your wedding? Let us know below!